and some I had to make a mad dash to their shop to select others I fancied! Exposeur places you into a precious pose when you hold the original rez box adorned with a lifelike dummy character parading from it’s package. Virtual Impressions’ MARISSA Pearl & Diamond Necklace and Earrings. With a tap to the HUD you can interchange the colors of the pearls and stones and much to my delight, there is a large selection of choices. Rag Dollz has continued to impress me with a variety of designs to their styles, so I remembered they created a wonderful minty teal mask tattoo for their “Teal Nights” dress. EXPOSEUR LAB BACKGROUND I created especially for this sequel of photographs. My cherished friend, Alyssalillian, gifted me these lovely eyes she created with an astonishing human realness called ZC The Look – Impressionism Eyes3. My ring holds a tender memory as a gift from my past, therefore the creation by Mistwood never leaves my finger. Using my imagination I plunged deep into the mysterious golden forest to set my Clockwork Bird free. Why not just set him free! For this shot, I chose to wear one of my own creations “GOLDEN GLIDE FAIRY” to accompany the beautiful and elequant pose by Exposeur Poses: Playful Fairy! Teleport here: TWO MOONS PARADISE. The pose pack contains 12 quite engaging fairy poses too “play fairy” with! As I heard thunder and lightning outside my bedroom window along with the howling of the vigorous wind ~ my next pose idea came to me with exposeur’s APRIL SHOWERS VINTAGE 3 collection of alluring poses. 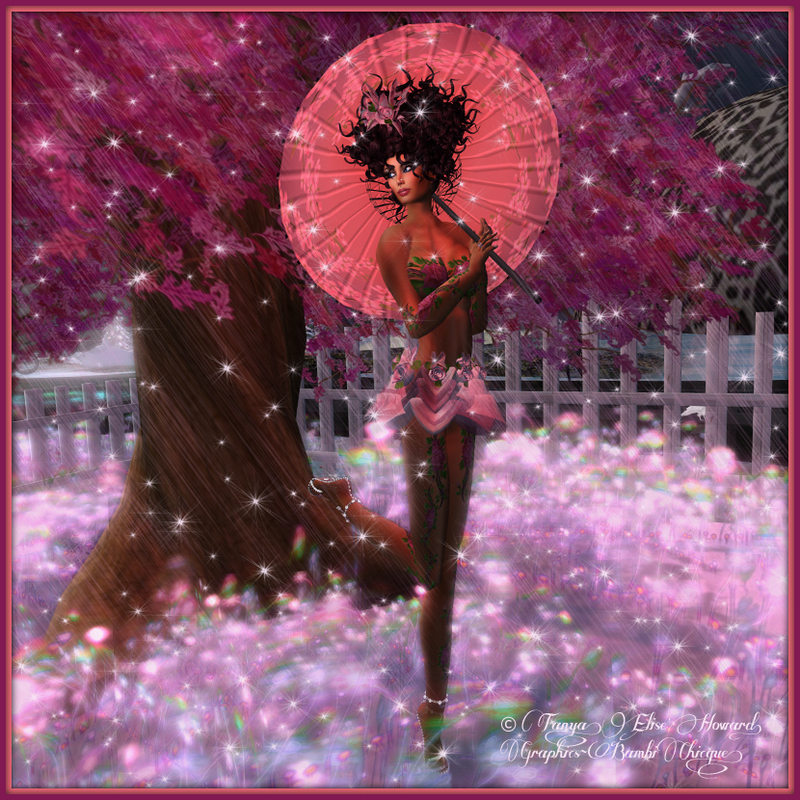 Changing into another of my own designs ROSEATE DANCER FAIRY, I flew away to paradise to dance….ahhheeem….pose in the rain! I spend hours upon hours in photoshop creating my own textures and making sure they are crisp and detailed. My buyer’s responses have been wonderful! And every time I have one of my best friends IM me after they try them on, I am delighted with words such as: WOW, SUCH DETAIL! I am in love with this hair design by Vanity Hair entitled “Folie D’ete” ! Perfect for an evening out dancing or playing in the rain as it wafts so sublte yet strong in the wind! These dazzling high heel shoes were created by Shoenique Designs called “Cinderella Diamond”! 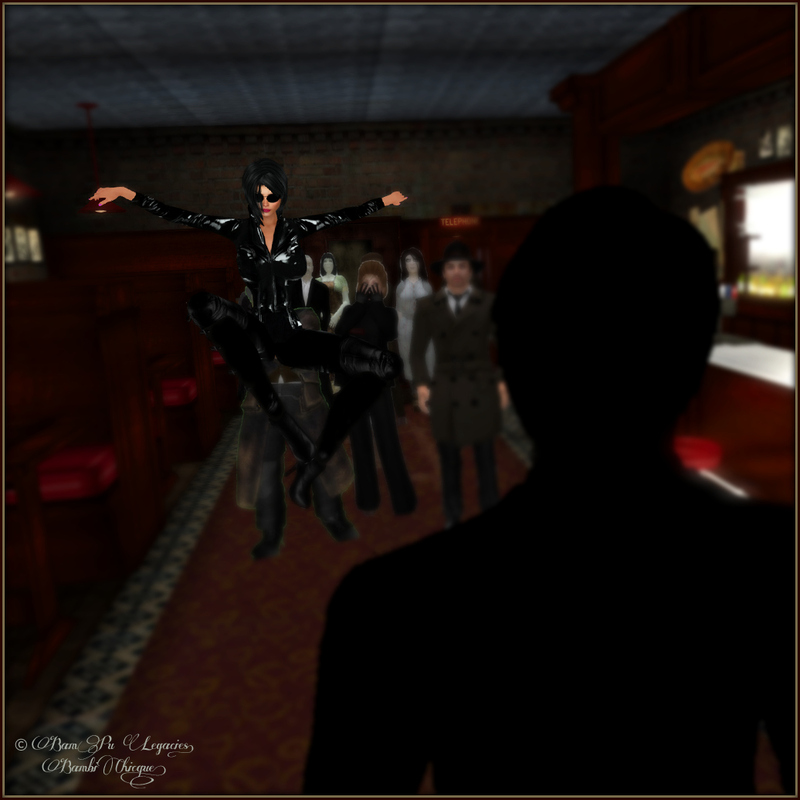 I am always delighted to bring you news of events, fairs and playful poses along with my photography within SecondLife. As a Photographer & Graphics Designer in real for many years, this is a special passion for me and especially to be able to share with you. Visit my flickr often as I continue to add unique and eye candy images there, too! Signing out for now ~ muahz!